Dude, where did the love go? Aikido is often known as the “Art of Peace” or “The Way of Harmony”. Sometimes it is described as “The Way of Harmonizing Ki”. “Do” of course, is “The Way”, and the word “Ki” is so common these days that it can probably stand just as it is. Then we have “Ai” – which means neither peace nor harmony. The character 合 is a cover fitting over a hole or an opening and actually means “combine”, “match” or “fit together” (as in a lid fitting on a container). To be sure, there are some implications of peace and harmony – but when Japanese people speak of those things they use completely different vocabulary (although some of the compounds do include that Kanji). That doesn’t mean that peace, love or harmony are not important to Aikido or that they weren’t important to Aikido Founder Morihei Ueshiba, they most certainly were. And that doesn’t even mean that the translations that I gave at the beginning are incorrect, because they aren’t necessarily wrong. What they are is interpretative – they attempt to translate the word “Aikido” in a way that represents the overall mission of the art. 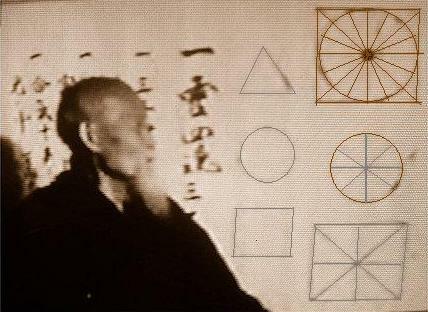 However, “Aiki” as a compound with a specific technical definition existed long before Ueshiba, and it is clear from his writings well into the 1960’s that, whatever overtones the word may have acquired, he never abandoned that technical definition. 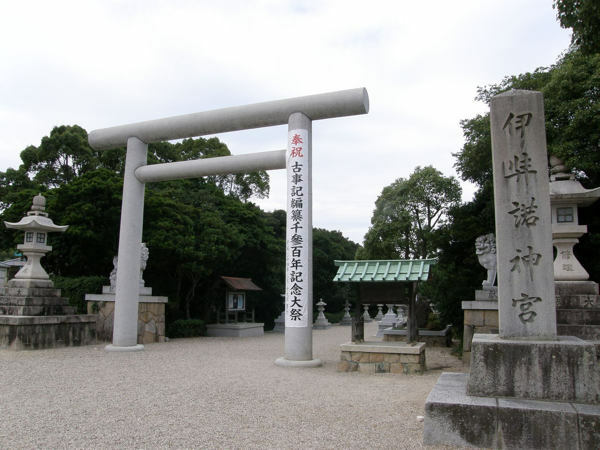 In Iwama, O-Sensei explored Aikido by worshipping the Budo Guardian Spirits and praying every morning and evening. And so Takemusu Aikido was created. He said the former aikido was not the “true” aikido. It may not be incorrect aikido, but this is what O-Sensei said. In Takemusu Aikido, bit by bit, new techniques appear spontaneously. This never stops, it is infinite like a spring. This is Takemusu. 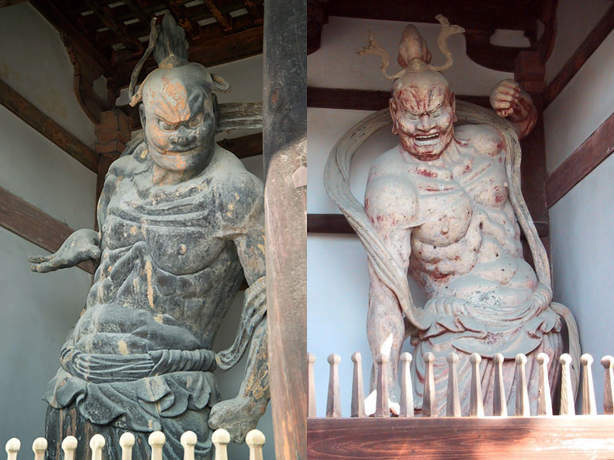 “Take” (武) means “Martial”, and “Musu” (産) means to “give birth” or “produce” – so it’s easy to see the reference above, in which new techniques appear spontaneously, but what does this all mean? Let’s break it down a little bit. If we take “Ai” as “fitting together” and “Ki” as…”Ki” then we end up with “Aiki” as something like “Fitting together with Ki”. But what are we fitting together? And what does “Take Musu” mean? Does it mean more than just “creativity”? To get to these things we have to back to the Hachiriki, the “8 Powers”. Some people mentioned that they aren’t really interested in numerology, but of course, it’s not numerology, it’s a technical description of In and Yo (Yin and Yang) forces. 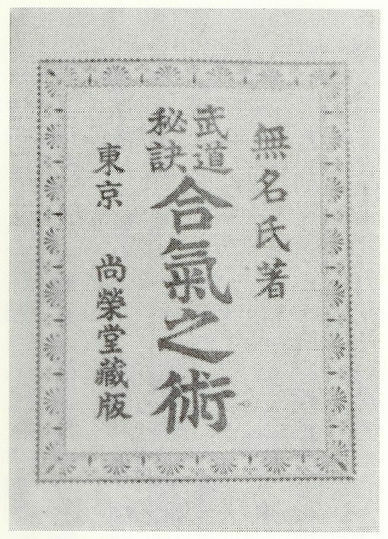 You can see that the numbers are also the same numbers that Morihei Ueshiba cited as one of the Gokui (“secrets”) of Aikido in “Kiichi Hogen and the Secret of Aikido“. According to legend, the pattern originated on the back of a magical turtle in China, who emerged from the Luo River with this pattern of dots upon his back. These numbers and patterns are the basis of Chinese divination and numerology such as the I Ching and geomancy such as Feng Shui. So it really is numerology – except when it isn’t – it’s also an ancient training methodology for the martial arts. In the above diagram, you see the opposing forces of In and Yo in their progression of changes around the circle. 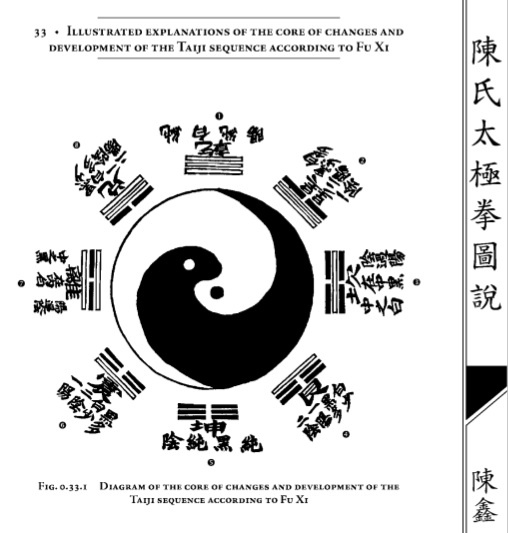 The 8 powers are represented by 8 trigrams, showing the progression of change – In forces represented by dashed lines and Yo forces represented by solid lines. These numbers are also used in internal martial arts such as Baguazhang, which uses the eight trigrams as its guiding principle. And…in Aikido, according to Morihei Ueshiba – as above, the numbers represent a progression of change in the relationship between opposing forces. This is why Ueshiba cites them as one of the secrets of Aikido. 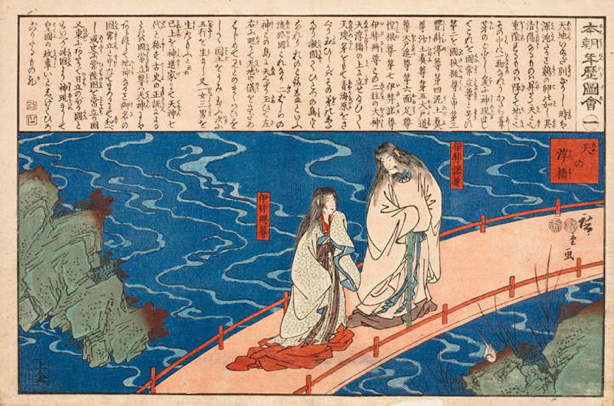 With “A” and “O” Ueshiba is actually referring to the Floating Bridge – in other words, a connection betweeen Heaven and Earth. We’ll talk more about the Floating Bridge of Heaven at another time – for now suffice it to say that we’re talking about a connection between opposites, opposing powers. So back to “Inryoku”, or “Attractive Force”. “Inryoku” is also the word for “gravity”, and you see it translated that way in same places. However, when you place it in the context of opposing forces it’s easy to see that “gravity” is not the correct interpretation. A real mouthful – you can see why the more eloquent translations at the beginning of this article may have been adopted. We can further clarify this definition if we look a little at “Ki”. As Morihei Ueshiba’s biographer and student Kanemoto Sunadomori said – “Intent makes Ki work”. In other words, “Ki” is driven by intent. 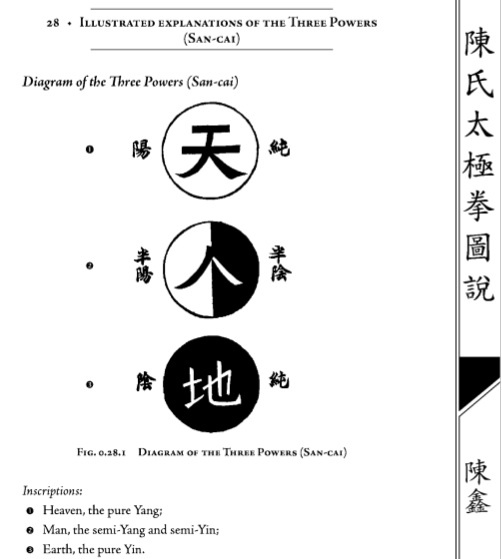 This gives us the same basic model that forms the Chinese internal harmonies – the basis of the Chinese internal martial arts: 心と意の合、意と気の合、気と力の合 – “Heart/mind leads intent, intent leads Ki, Ki leads strength/power”. Which may be familiar to folks training the Sangenkai method. All of the content on this site is, and will continue to be, provided free of charge as a service to the community. You can help support this project by contributing a little bit to help support our efforts. Every donation (even $1) is greatly appreciated and helps to cover our server and bandwidth costs, and the time involved. The more support that we get the more interesting new content we can get out there! By donating you also help support our efforts at Aikido Hawaii, which has provided a state-wide resource for all Aikido in Hawaii, regardless of style or affiliation, for almost twenty years. Donate now with PayPal (one-time donation). Donate now with Tipeee (one time donation). Donate now with Patreon (monthly donation). excerpt from “Interview: Gérard Blaize Sensei” by Richard Laubly, Aikido Today Magazine, #72, November/December 2000, pages 7-11. 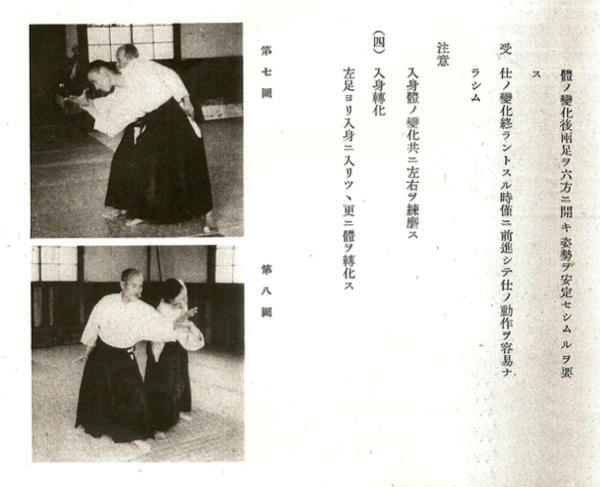 [page 9] Could you speak to us about “developing the attractive force” in Aikido? 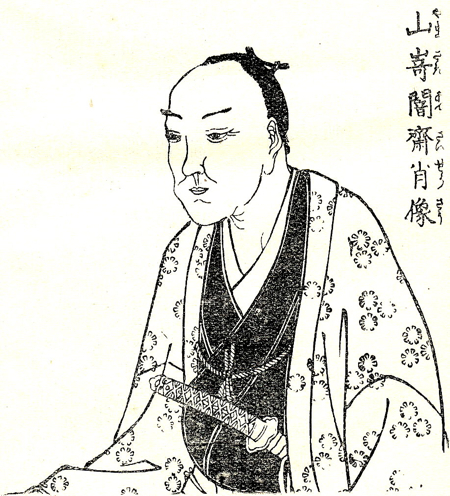 O-Sensei explained that, for him, the true Budo was the development of the attractive force (in Japanese, inryoku no tanren). Hikitsuchi Sensei enabled me to experience this attractive force by completely “breathing me in.” At the time, I wasn’t aware of what he had done; I was just very surprised by what happened. I was unable to lift my hand, for example, but at the same time I couldn’t feel any force holding me. It was six or seven years later before I understood the phenomenon. The experience is very extraordinary, and I have only found it in the practice of Aikido. For it to come about, you have to attract someone, breathe someone in. This requires a total absence of will and a total absence of wanting to be stronger than the other, of wanting to win. When the experience happens, it is impossible for either person (the one carrying out the technique or the one receiving it) to act against the other. Everything stops. Even if from the outside we see one person down on the mat and the other still standing, the one is not stronger than the other. This is the experience of the attractive force. A good read. Thanks Christopher. Thanks Lawrence – good to hear from you, it’s been a while! In my opinion, based upon your translation and the context, I think you should just leave “inryoku” as “gravity”. 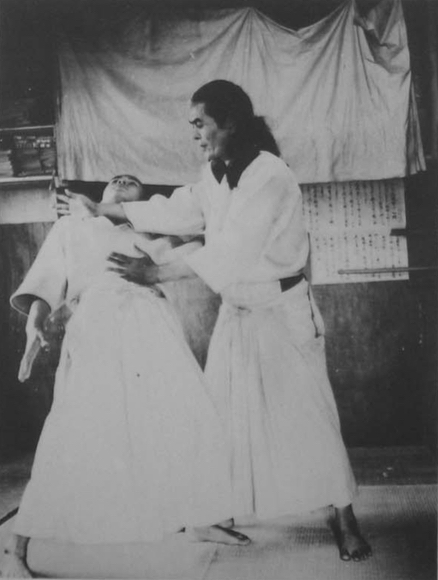 “Jin” or “Kei” is formed by the i/yi/intent manipulating one or both of the two forces of gravity: Up from the solid ground and Down from the weight. In other words, jin/kei (this is the basis of kokyu) is the product of gravity. So we could take the translated saying from above: “Take Musu is the training of Attractive Force” and insert gravity for “attractive force”. The result is essentially saying that “Take Musu is the training of Jin”…. and that makes perfect sense, in terms of the internal arts. A number of Chinese have said things like: “Taijiquan is really peng jin quan” … which means “Taijiquan is the use of jin”. Thanks for the comment Mike. “Inryoku” is a tricky term, even for Japanese native speakers. It’s often used for “gravity”, but strictly speaking “gravity” (“juryoku” / 重力, in the sense that you’re speaking about it) in Japanese is really a specific case of “inryoku”, which is a more general connective force. Of course, “jin” / 勁 doesn’t really mean “gravity” either, even though it can be used synonymously in many cases. In any case, I chose to use “connective force” here, because it better suits the context of Ueshiba’s general usage of the term (including his usage of the term in other cases), although I agree that you could easily substitute “gravity” for this particular quote – but I think that it would slightly limit the nuance that he (in my opinion) intended to use.